Hyundai presented a new racing version of the Veloster Hatch, which is prepared to participate in the championship IMSA Michelin Pilot Challenge. The engine interacts with a 6-speed sequential transmission that transmits torque to the front axle. Another hatchback will have a front mechanical differential and Brembo brakes. 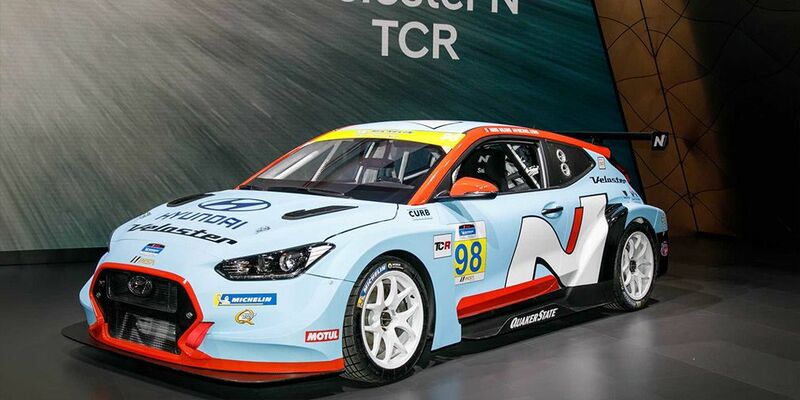 Hyundai Veloster N TCR will be available for sale from this spring. The price of the car is $155,000.